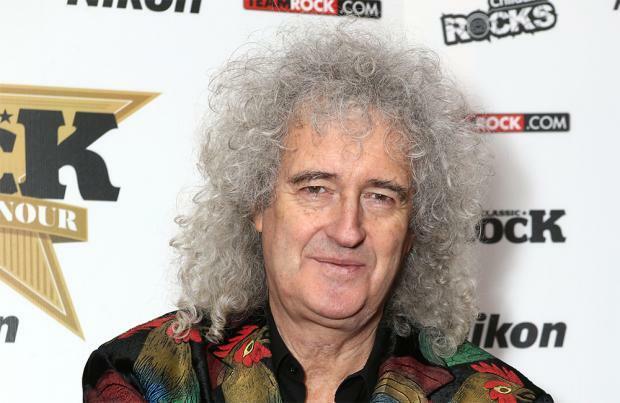 Brian May admitted Freddie Mercury would "love and hate" Adam Lambert. The Queen guitarist has admitted his late band mate - who tragically died in 1991 aged 45 due to complications from AIDS - would have been jealous of the group's current front man because his voice is one "in a billion". He told Yahoo: "Freddie would love and hate him, because Adam has a real gift from God. "It's a voice in a billion, nobody has that range, nobody that I've ever worked with, not just the range but the quality throughout the range. I've seen Adam develop just like I watched Freddie develop." The 71-year-old musician - who has continued the 'Bohemian Rhapsody' band's legacy alongside drummer Roger Taylor, 69 - has credited the 36-year-old former 'American Idol' star with their longevity. He added: "In no way does he imitate Freddie but he provides that piece of the jigsaw puzzle. It's stupendous, we would never be doing this now if it weren't for Adam. "Sometimes I stop playing because I think 'what did he just do?' He's so free with his interpretations and it's just spine-chilling. The sound he makes and way he interprets a song." Adam joined the line-up after he sang with Queen during the 'American Idol' eight season finale - which saw him finish runner-up - and then joined them for an award show in Ireland. Brian explained: "There was something about Adam, this chemistry was instant and it was like we were already in a band with him."